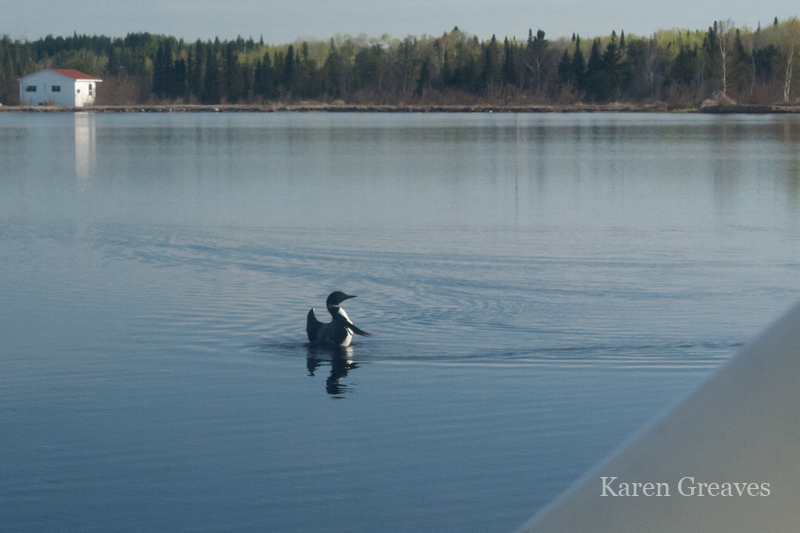 Early the other morning, headed out in the Cessna to do some camp work, we taxied by a loon. It was unafraid and continued singing its song. I’ve never seen them lie so low in the water. 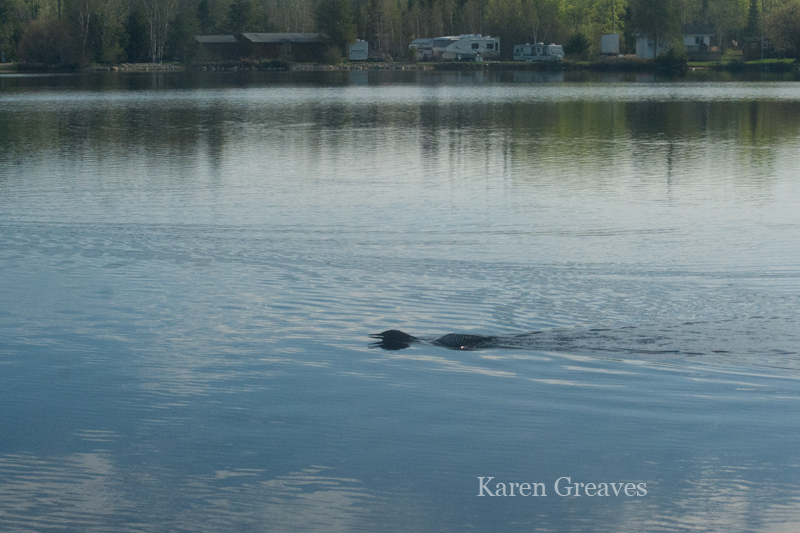 It looked, at first, more like a beaver or otter swimming than a loon. There was no doubt about it being a loon when it reached up to stretch in the morning sun.